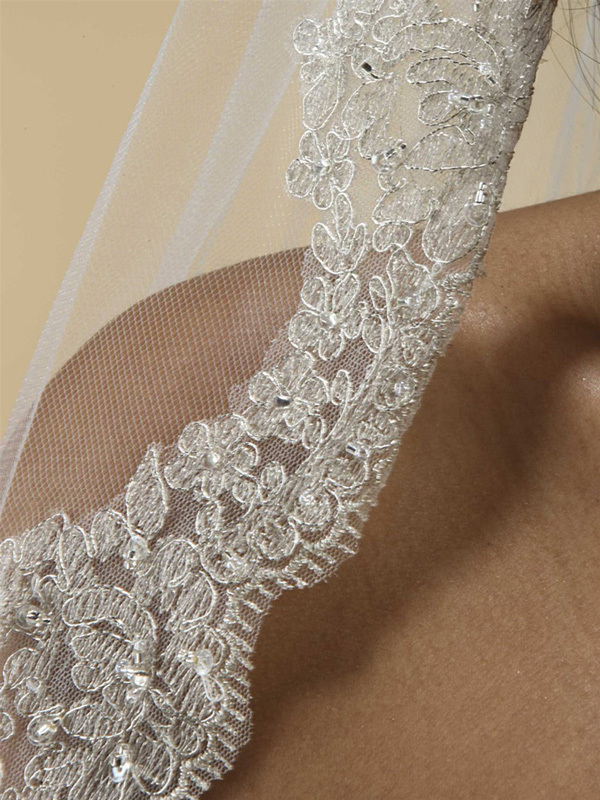 * This luxurious Mantilla Wedding Veil by Mariell features a richly embroidered wide scalloped lace edge. * Our one layer Mantilla is threaded with delicate silver chain and is embellished with pearls, sequins and clear beads. * We offer this exquisite Fingertip length (36") Mantilla in White/Silver or Ivory/Silver and includes an attached comb. 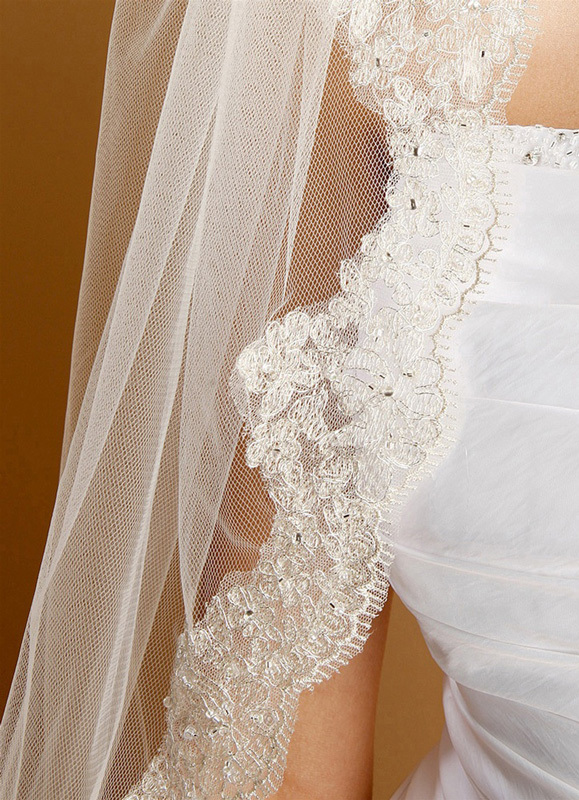 * This Mantilla veil is a classic top seller sure to be a customer favorite for any retailer or stockiest!